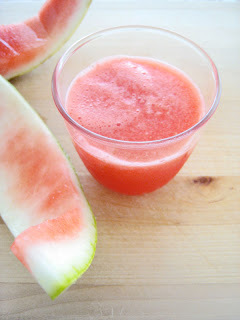 ... watermelon juice. just look at that color! Uh, this looks like a delicious piece of art! Yum. Thanks for sharing. YUMMMMMM. great photo, great drink. Oh yes, one of my very favorite summertime treats!